Chronicle managing editor Cathy DeDe writes: Jim Fuchs garnered more than 406,000 views, 6,700 “shares” and nearly 800 “likes” with his video taken of ice seemingly crumbling into shards on Lake George on Wednesday, April 3. 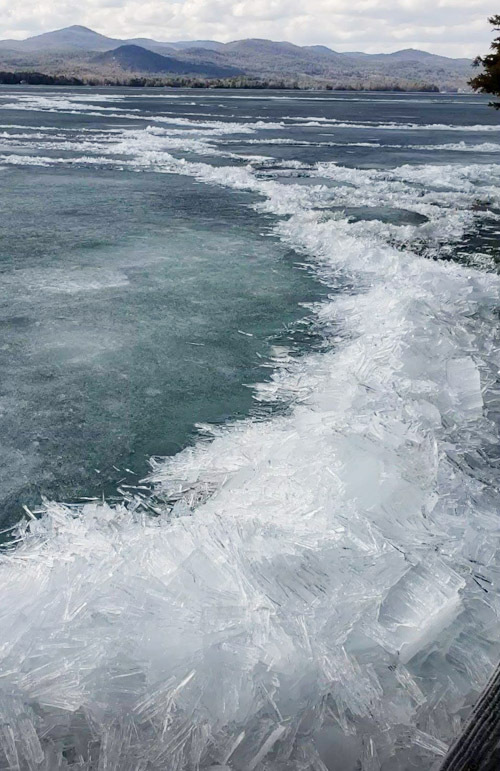 Dr. Fuchs said he recorded the video — headlined, “The ice starting to go out today on Lake George” — from the dock at his house in Pilot Knob. The Chronicle Facebook page has a link to the video. If you Google “jim fuchs lake george ice video,” the Chronicle link was the second search result that came up when we checked it Tuesday morning.